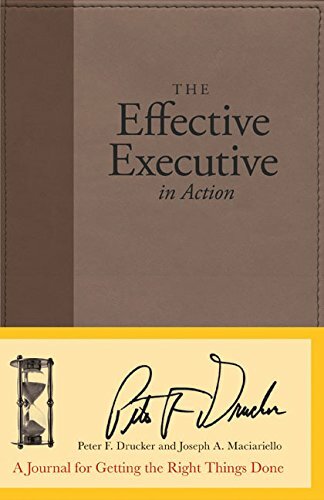 The Effective Executive Summary provides a free book summary, key takeaways, review, best quotes and author biography of Peter F. Drucker’s book regarding management. Executives’ roles act against their productivity. Peter F. Drucker suggests fixing this with five new habits. The late Peter Drucker was a business sage in a true sense. He was famous as the father of modern management. Drucker predicted many critical trends like privatization, decentralization, etc. He made the idea of the “knowledge worker” famous. 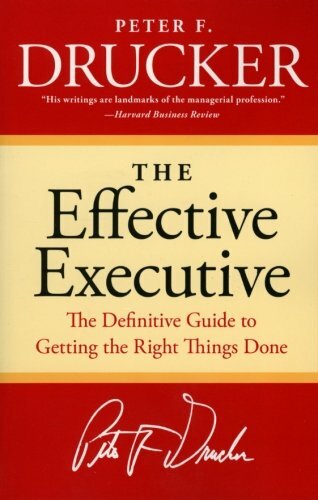 This term is widely used in this exciting book The Effective Executive. Every book of Drucker is a real business classic, and so is this. He explains what managers must achieve. And also, how they must see their roles. We believe that you’ll start thinking efficiently about your work after reading this. No one writes more accurately and intelligently on management as Drucker. Every executive, even who’s already good, will benefit from this read. Why society relies on effective firms and managers. Effective managers make plans and prioritize. They seek opportunities, communicate and take responsibility. In short, they add value to their company. A manager’s position and role act against his/her effectiveness. But, you may teach yourself how to become productive. For this, you should master five habits. First, control your time and know how to use it properly. Second, focus on what value you can add to your company. Third, develop your and your firm’s strengths. Fourth, prioritize your goals and work on them. Fifth, regulate decision making when possible. The world relies on effective firms, which depend on effective managers. If you can’t manage yourself, you can’t manage others. Executives are the real “knowledge workers.” For them, this means managing their productivity. This isn’t a difficult task. But, it does involve following some practices and five essential habits. Being effective is a must-have for any executive. A useless executive is only by name a leader. Focus on what needs doing – This may be different from what you wish to do. Hence, focus on just 1 or 2 tasks maximum. And, delegate rest. Make sure your actions benefit your organization – The company is what matters. And, not the executives or owners. So, ask yourself if you’re doing the best for your firm. Create an action plan – Knowledge is nothing without action. But, acting without planning is harmful too. Your plan shows your intentions, not commitment. So, be open to changing if situations demand. Also, monitor your plans regularly. Assume responsibility for your actions – Ensure your employees know the action plan and its deadline. Decide who’ll carry it out, and who should be informed about the plan. Communicate your plan to others – This covers your seniors and direct reports. Seek opportunities – Don’t see change as a threat. Instead, view it as a thing to exploit. Make your meetings productive – Meeting can either be very helpful or a big waste of time. There’s no in-between. So, end your meetings as-soon-as you attain your goals. Orient your thinking to “we,” not “I” – It doesn’t matter what’s essential for you too. Instead, what’s necessary for the company is what matters. Does Executive’s Position Act Against Their Productivity? Executives could be creative, and brilliant, but still ineffective. Effective executives are very organized. They work in the right areas. Their results define them. They’re knowledge workers who help their firm attain its targets. Such executives see beyond managerial tasks. Instead, they see vital trends which may impact their firms. But, sadly, their authority positions act against their effectiveness. An executive doesn’t have any personal time. Their time belongs to the company and everyone in it. Hence, when people want to communicate with an executive, they feel free to interrupt. Such continuous breaks in focus make it tough to work effectively. American executives reach top level through their ranks. Hence, they focus mostly on their original home divisions. That is, they’re stuck in the operational method. European executives also have the same issue. But, most European executives reach senior management from a “central secretariat.” There they used to earlier act as generalists. Most firms have separate departments where experts focus on specific areas. For example, legal, accounting, data management, research, etc. Every area has different goals and agendas. But, their managers should often mix their efforts. Sadly, executives can’t always control field specialists. Hence, they mightn’t get the support they need from their departments. Executives work deep within the firms. Hence, most don’t have contact with outsiders like consumers, suppliers, etc. But, such external relations matter. The company can’t exist without positive outside results. These include great PR, high sales and strong support from distributors. Hence, for any firm, the outer reality controls nearly everything of importance. But, as they progress within the workplace, most executives lose contact with external reality. Their efficiency weakens as they start focusing on computer-generated information. Because they stop focusing on real market realities. “Recording time” – Don’t lose track of your time. If you do, you can’t know how you’re spending/wasting it. Hence, note the time every task takes. Then, use this as your guide to delegating some routine tasks. Assign it to your employees. But, consider if this will be a waste of their time too? If yes, make some changes. Because the more productive they are, the more productive you get. “Managing time” – Is there a great system in effect to save your time? You don’t if you regularly face the same time issues — for example, a hurry to perform annual inventory. So, plan your recurring tasks better for time-saving. At times, too many people at hand also waste times. Because people talk rather than doing the job, hence, cut back on employees to work more productively. Also, cut back on meetings as it’s a big time-waster. “Consolidating time” – If you’re a top executive, you can control just 1/4th of your time. Or even less. Find out the flexible time you have. Then combine it to use it well. Keep this chunk of time aside for productive use. Don’t allow anything to disturb it. This may demand self-discipline. So, be it. Don’t worry too much about your employees’ daily tasks. Instead, think about what results they attain. A great sales manager isn’t someone running the sales division. Rather, he’s a person who ensures that the firm’s products sell. An excellent account doesn’t merely tally the books. Instead, he/she offer the financial data needed to ensure profitable operations. So, don’t focus too much on individual efforts. Instead, focus on the actual value you can add to the firm. Also, avoid defining such value-additions narrowly — cover direct results like reduced costs or an increase in sales. Plus, include work which develops the firm like guiding new joiners. Or helping to maintain your company’s values. Ask your people, “what value can I add to help you contribute more?” And then work hard toward it. Strength is your asset. 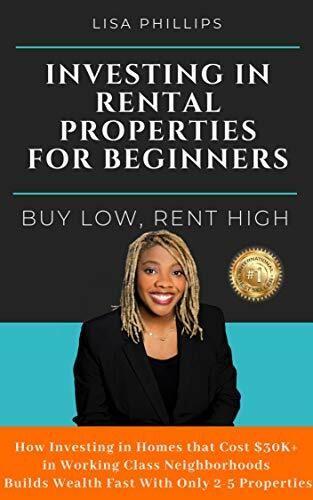 This holds regarding your knowledge, skills, and expertise. And also for the strong points of your people. An effective executive builds on their strength and that of others. This begins with hiring decisions. When staffing, don’t try avoiding weakness. Rather, maximize strong points. Don’t ask, “will he/she work properly with me?” Instead, focus on what value a person can add to the firm. During the Civil War, many warned Lincoln against hiring General Ulysses S. Grant. They claimed he was an alcoholic. But, Lincoln had some other plans. He said, “if I knew what brand he drinks, I’d send some to other generals.” It shows Lincoln was only focused on results, and not weak-points. So did the head of the Confederate Army, General Robert Lee. One general didn’t follow Lee’s orders. This disturbed Lee’s war plan. One aide asked him, “why don’t you suspend him?” But, Lee said, “what a stupid question! He performs.” Just like a war, in business also results in the count. Keep this in mind when assessing current and future employees. Don’t multitask. It’s a huge mistake and doesn’t work well. So, to achieve goals, focus on one thing at a time. Or, at the most two. Three things are nearly always impractical. Still, in the past, few geniuses were able to do many things at once. Mozart could create many musical compositions at once. But, not everyone is Mozart. You can attain your goals by multi-tasking. But, your quality will always be sub-standard. Rather than multitasking, work quickly and smartly on one job. This doesn’t mean working in a rush manner. Instead, it means focusing on and working on the task at hand. Take part in productive activities. Also, engage your team in such exercises. If you find an activity is ineffective, drop it. Priorities are key. This demands courage. Don’t fix your eyes on the past. Instead, keep them in the future. And, keep a margin of your time for the unlikely to happen. Because it always will. Many situations that need you to take decisions are mostly generic. That is, ordinary and typical. You can handle such situations by using general rules and processes. The tough part is finding when a situation is typical and when it’s unique. Don’t ever handle a general situation as if it were unique. This is the biggest mistake. For example, production issues keep on happening. So, handle them by using actions and decisions which worked in the past. In contrast, a vast power failure is a highly unusual event. Solving it needs individual decision-making. Such a problem won’t settle just by applying proven rules. Hence, the ability to tell generic situations from unusual ones is key to an effective decision. The quality of the decisions you take relies on their importance. The relevance and clarity of your views matter a lot. It’s because the facts of most events are not known immediately. They often become evident over a period. Always act as if the old measurement isn’t the correct measurement. Seek other options. For example, you can identify an investment’s likely profitability. Or the present value of its expected returns. All these measures offer just a part of the picture. So, ask your accountants to give all the data. This way you’ll be able to take the correct decisions. As a knowledge worker and executive, you’re a necessary resource. The society relies on you and other knowledge workers to be highly effective. If you’re productive, your company can be effective. This way the company will be making critical additions to the common good. Productive firms can act as helpful tools to make everyone’s life better. This is a noble goal. But society can’t attain this vital purpose if firms are unproductive. Hence, to avoid this, they need good knowledge workers. So, you’re a crucial part of the system which takes the society forward. Luckily, all executives can learn to become more productive. It’s just a matter of habit. In this book, all of the traits of being an effective executive are discussed. There are said to be eight traits of becoming an effective executive in any of the company. First is to focus on what needs doing and what is different in what is done and what should be done. Secondly for being the effective manager Make sure your actions benefit the association. Third, it is also imperative to create an action plan for the organization. Fourth is to assume his liability for all of the actions. Fifth is to communicate all of the plans to others. The sixth rule is to seek all of the opportunities for the better future of the organization. The seventh step is to make the productive meetings in the organizations, and at the end eight is to Orient thinking more in democracy. Five habits help the person be an effective executive. First is to manage the time effectively. An effective manager and executive always make the best use of the time that he has. Second is to think what his highest potential is and what he can contribute to the organization. Third, is to make all of his strength work for him and be productive for the organization. Fourth, habit is to put the first thing. First, it means that the things that matter the most and is the priority must be done first and the things that matter least done in the end. In the end, the fifth habit is to make the decision effectively because of the success of any of the organization based on the decision that the manager makes for the company. So for being the effective executive, one must know about the value of his role and how much his work matter to the organization. Peter F. Drucker was a writer and management consultant. 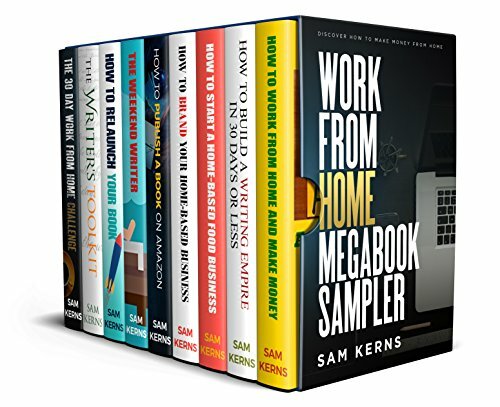 His 39 books and many articles discuss how people organize themselves in business. Drucker passed away in 2005. After reading this The Effective Executive Summary, do you have something to share with us? We are looking forward to hearing from you shortly! Nicely summarized as well as your graphics help to make it all clear! Thank you so much. 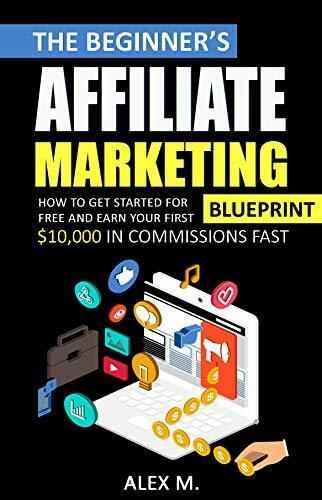 The way of reviewing the book is well organized, effective along with straight to the point. I hope you continue reviewing the works of Peter Ducker. My favorite quote: “A decision requires courage as much as it requires judgment.” Love it. By Nico explanation for the”The Effective Executive Summary: Peter F. Drucker” it is very efficient and the interesting point because he gave the 5 habits to become more efficient which is very beneficial for us. and he also describes the management from a “central secretariat” which is very useful. You have explained things in separate details to ensure that a reader can understand the whole concept being conveyed in the book. You have summed it up very nicely that even a common reader can also understand that how one can become an effective executive by following some key habits, traits as well as practices.